A group loyal to the Senate President, Senator Bukola Saraki and operating under the auspices of Coalition of Saraki Advocates for Atiku (COSAA), has said President Muhammadu Buhari failed in his bid to turn around Nigeria because he is surrounded by corrupt politicians. The group urged Nigerians to brace up for a serious challenges ahead of 2019 elections, expressing fear that the Independent National Electoral Commission (INEC ) has not been truly independent under President Buhari. The group said the former Vice President Atiku Abubakar remained the best for Nigeria in 2019, saying “Buhari has compromised his integrity by fraternizing with corrupt political bigwigs to ride to power in 2015” and this it said had impeded him from realizing the objective of ridding country of corruption. He urged the Buhari government to propel local production of petroleum, rather than deceiving Nigerians by contemplating pump price reduction to get votes in 2019. 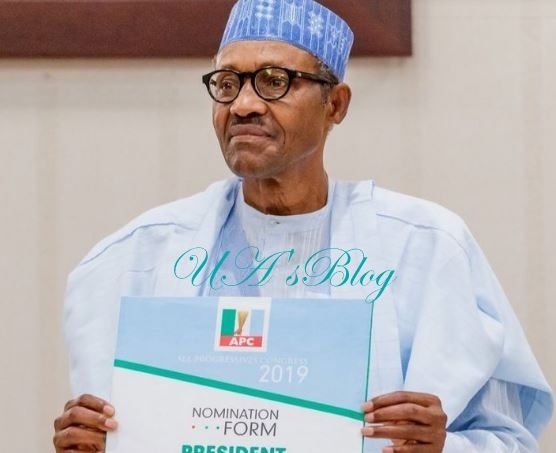 Speaking in Ado Ekiti on Sunday, the group’s Southwest Coordinator, Comrade Oba Adelusi, alleged that Buhari came into power with scores of corrupt aides, who he said had fettered his hands and hindered him from prosecuting his anti-graft war in the most potent way. He said the group’s plan was to mobilize 36 million votes, by garnering six million votes in each of the six geo-political zones, for Atiku in 2019 to show that apolitical Nigerians have power to unseat a sitting President. Justifying his fear that the coming election may be rigged, Adelusi said the manner through which Osun and Ekiti governorship elections were won by All Progressives Congress (APC) were enough signposts that the nation’s electoral system had been desecrated. ready to ensure that their votes count. He said: “Before former President l Olusegun Obasanjo and Atiku came into office, Nigeria was sick and we agreed that the diseases were not well tackled. Same went for Umaru Musa Yar’Adua and Goodluck Jonathan. “When Muhammadu Buhari took over, though Nigeria was sick, we expected him to take care of the country as a sick baby by consulting medical doctor who could heal it. He decided to lock the baby inside and took persecution of PDP members as his ultimate goal.